Next weekend I'm having a few families over for a little Christmas get together. I've been scouring the internet looking for some good Christmas treats to make that are: a) easy to make, b) not filled with expensive gourmet ingredients, and c) that make me think of Christmas. I'm a bit of a planner and want to tick off as many items on my to do list as early as possible, and yesterday I started my baking. 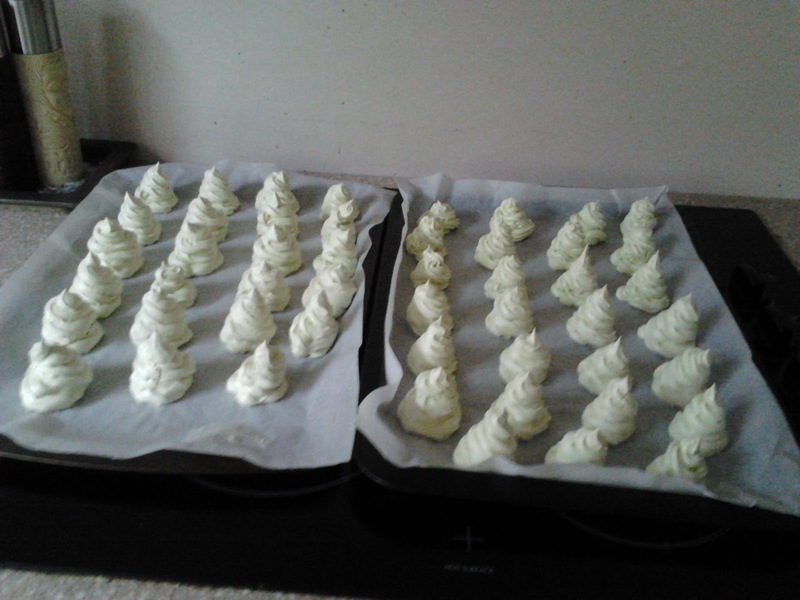 First on the baking list were these Christmas meringues... 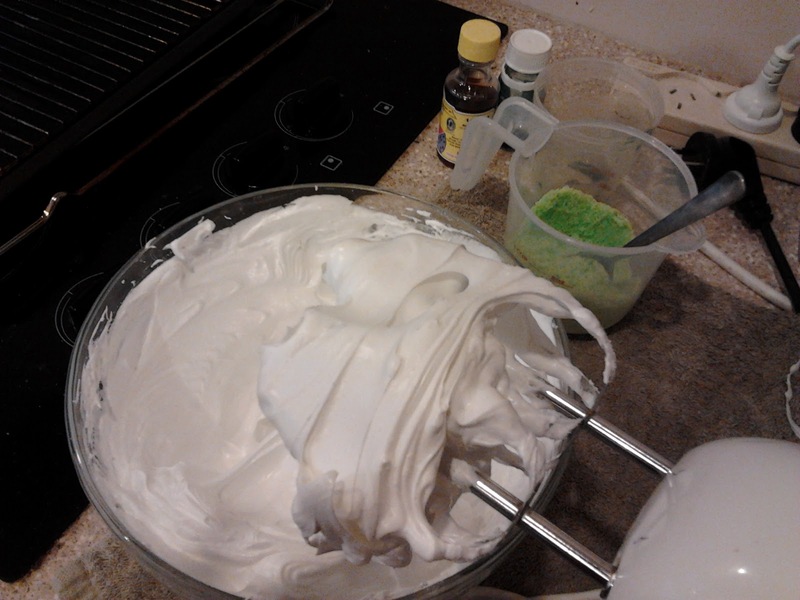 I used my own basic meringue recipe that has never failed me and added some food colouring and peppermint essence to the last 1/4 cup of sugar (that was being added to the egg whites a spoonful at a time). I was careful not to add too much colouring because I didn't want them too green as I thought that might put the adults people off eating them. You may also notice that mine don't have pretty little stars on top - yet! I couldn't find any at the store where I do my regular grocery shopping and am going out to get some later today. 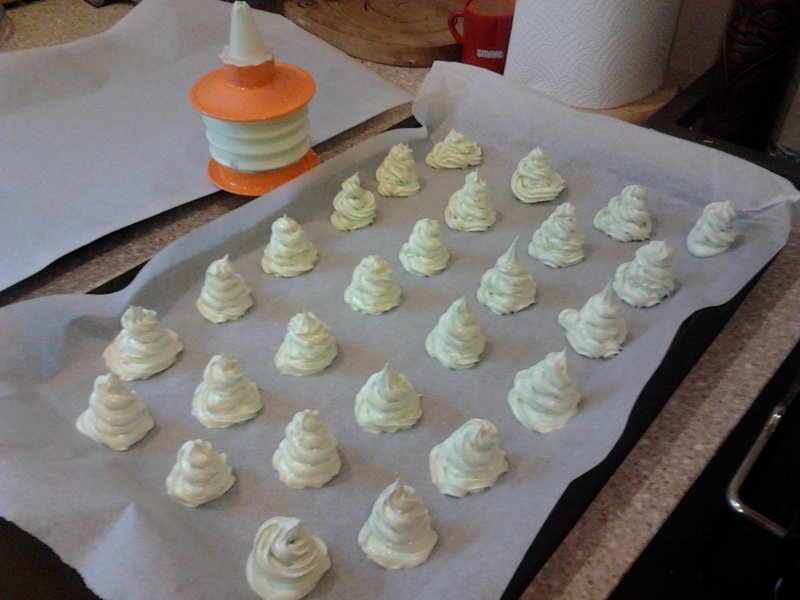 I wasn't sure how well these sorts of decorations would 'bake' anyway, so my plan all along was to add them afterward with a little dot of icing. 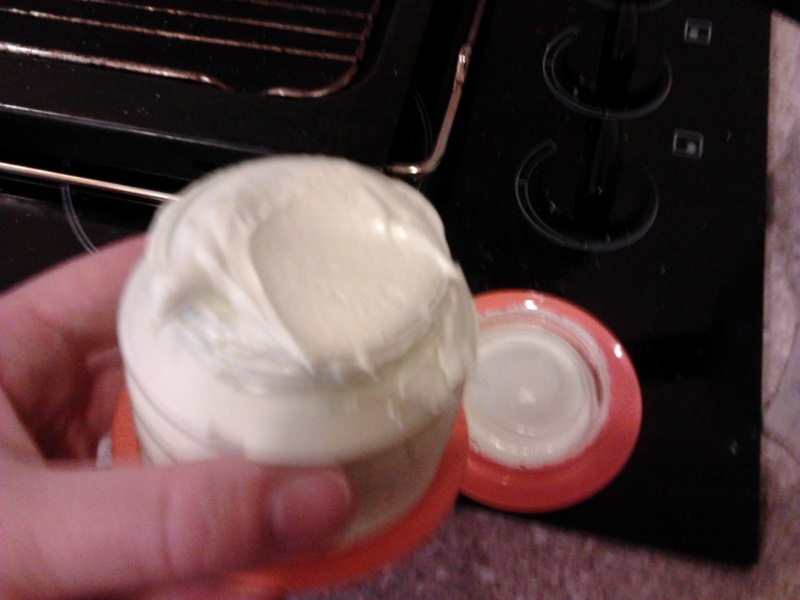 I was quite excited to use my new Tupperware icing piping thingy, but sadly that part was very disappointing... Long story short, it's messy to fill, wastes a LOT of whatever you put in there, and doesn't hold much. And it took me a few trees to get used to it, so there are a few wonky ones! 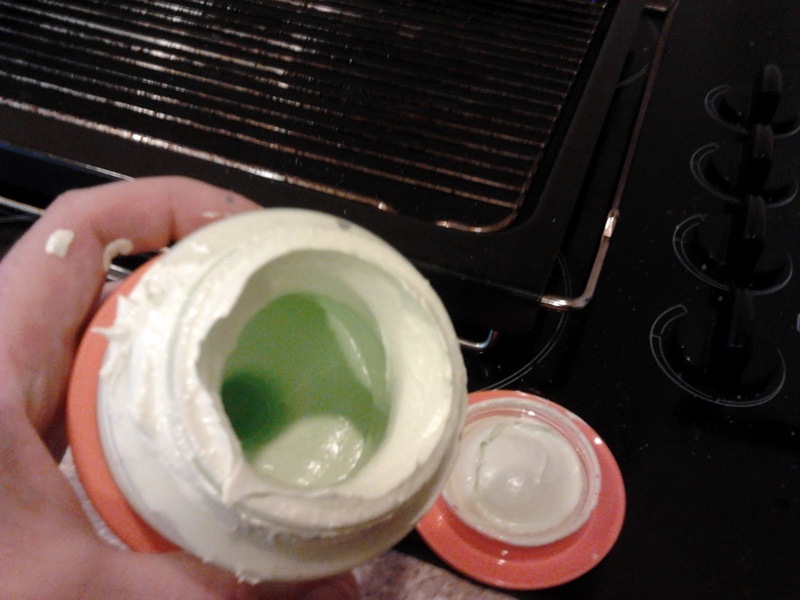 Next time I'll go back to using my cheap piping bag that came from the grocery store. But I'm sure they'll go down a treat at the party - they always do. 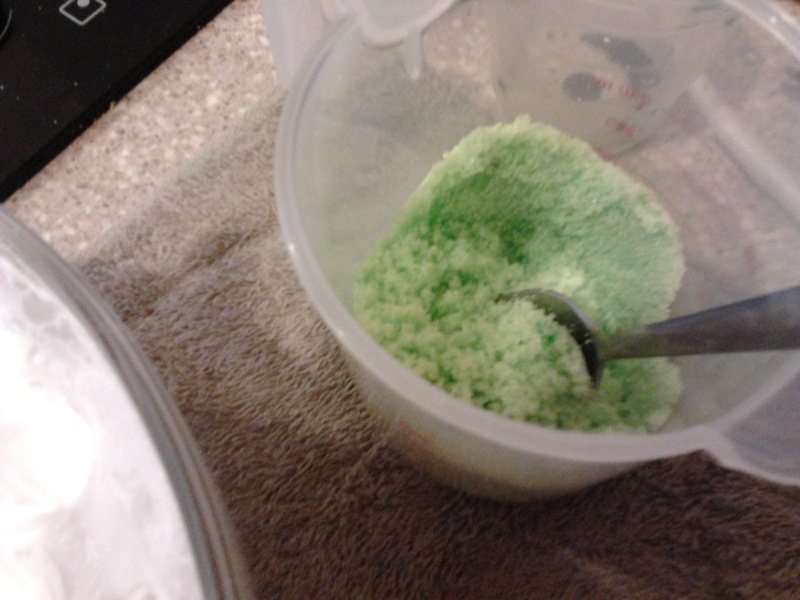 I love these because they're really light and with a hint of peppermint essence in them they're a bit Christmassy too!